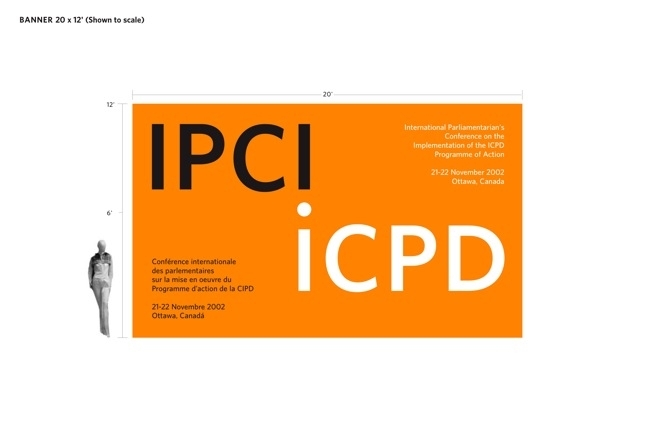 RDA was hired to create a brand identity and campaign for the biennial "International Parliamentarians' Conference on the Implementation of the ICPD Programme of Action" – a behemoth of a name, which we proposed should be shortened to IPCI (pronounced "ipsy"). The client, who had developed a strong brand concept, repeated the acronym, laughed, and then used it. 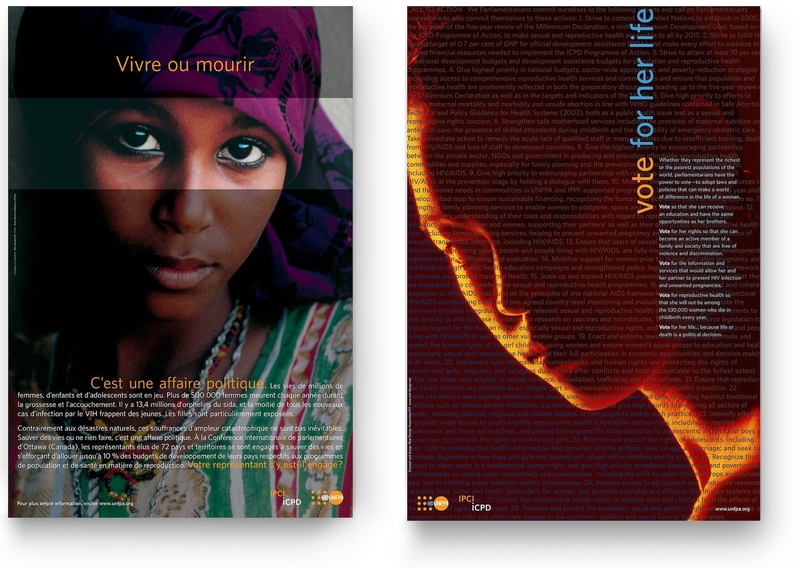 RDA also created the campaigns, in eight languages, for the first conference cycles in Ottawa, Strasbourg and Bangkok.